Jordan has an extensive background in martial arts; just watch her control the 18-yard box on a soccer field and it's clear that she isn't someone to be messed with. She's a remarkable athlete, strong enough to hold off and shrug off defenders but also quick enough to turn with the ball and find enough space to get off a shot. Most college defenders are no match for her. The senior has lapped the field when it comes to goals scored among active players and has a chance to finish among the top 10 or 15 goal scorers in Division I history. Even if each one really is worth a thousand words, how can 10 photos tell the story of a season yet unplayed? Like this. 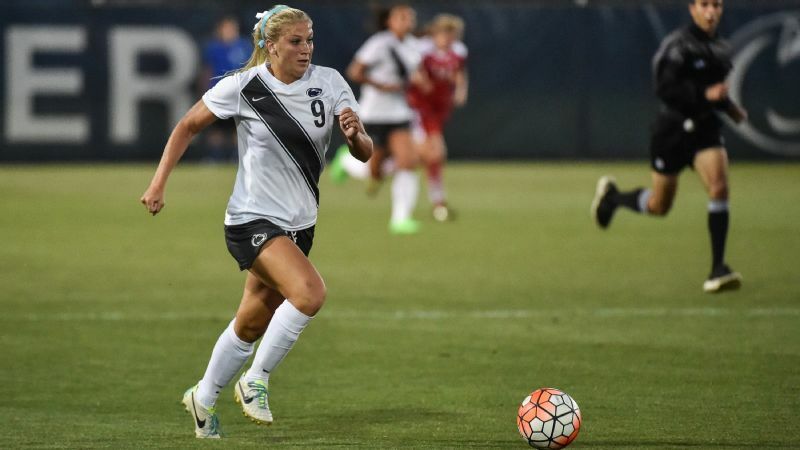 With the 2016 college soccer season underway, we selected 10 players whose stories will help shape the next few months. It isn't an attempt to set them apart from their peers, although those included could make their cases if this was a list of the 10 best players. It is an attempt to find 10 individuals whose talents reveal something about the teams that will surprise, the milestones that will be chased, and the identities that will be shaped. 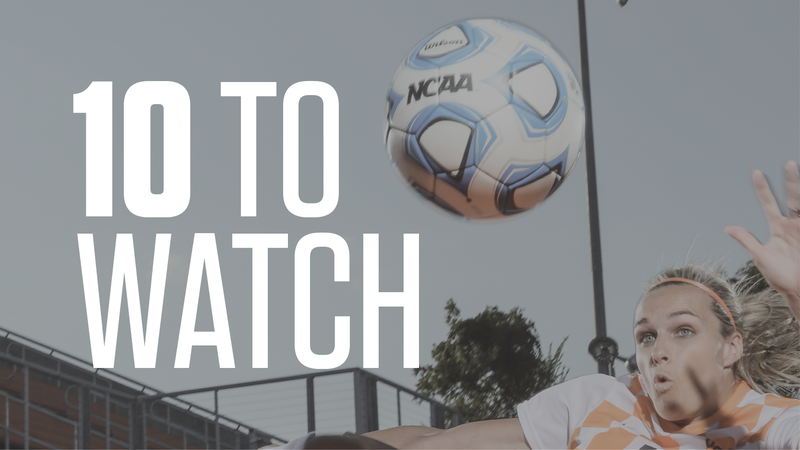 These are 10 players any college soccer fan needs to know. The senior is so good at such a young age that she has already played through a World Cup run that reached the quarterfinals and an Olympic run that reached the bronze-medal game. In fact, the biggest problem for Buchanan may be that she is so coveted by Canada. Between those two events and the Pan Am Games that followed last year's World Cup, she's piled up almost an extra season of high-level games. 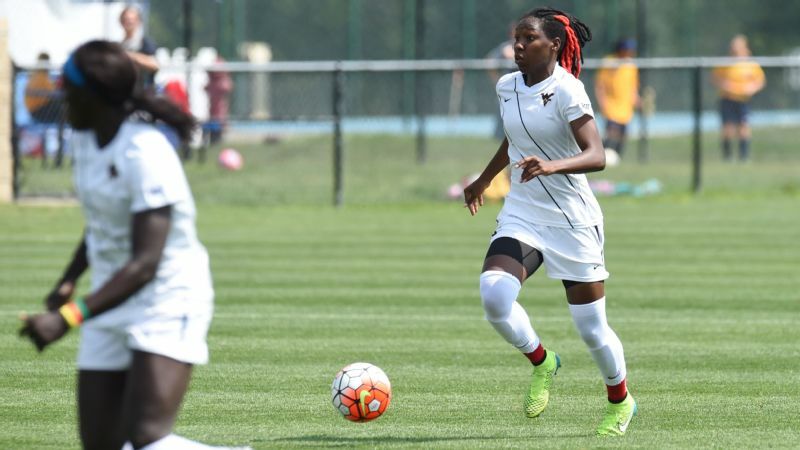 West Virginia coach Nikki Izzo-Brown will find Buchanan some rest, but she is as good a center back as the college game has seen in recent years. The sight of Crouse at full steam chasing after a goal is worth the price of admission. Beyond the speed in fifth gear, it's her acceleration in the first few steps after a ball is played and the relentlessness with which she pursues it that make her such a force. When she was a freshman, coach Erica Dambach called Crouse a bull in a china shop. Since then, she has matured into a more and more sophisticated soccer player. That's good for reigning champion Penn State, which will need big seasons out of its few veterans since so many players will be lost to the under-20 World Cup. 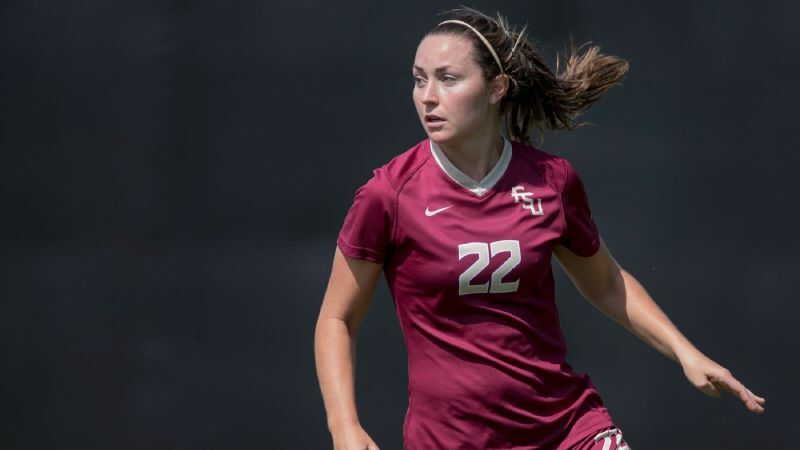 Crowley may not be a household name, even in those abodes that pay a lot of attention to college soccer, but she was second-team All-ACC last season. 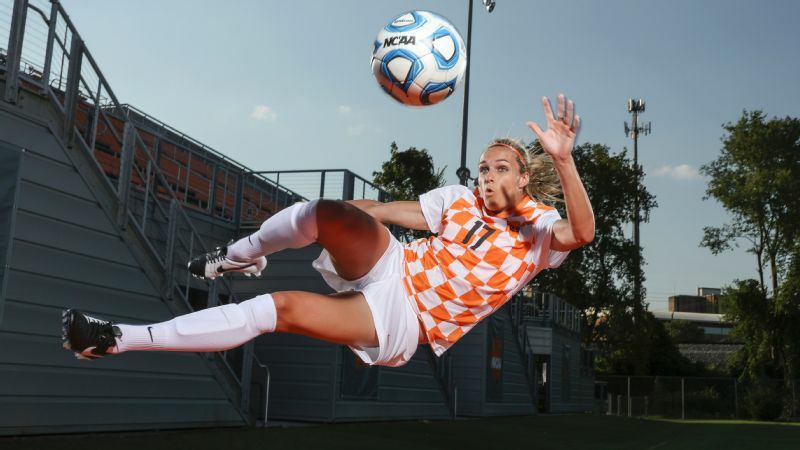 She has been overshadowed by a series of high-profile defenders around her, including Kristin Grubka and Kassey Kallman. Now Crowley is the only senior on the roster and the anchor of the back line for a team that is ranked No. 1 in the preseason. A homegrown product on a roster known for its international flair, she plays bigger than her 5-foot-5 frame and is ready for the spotlight. 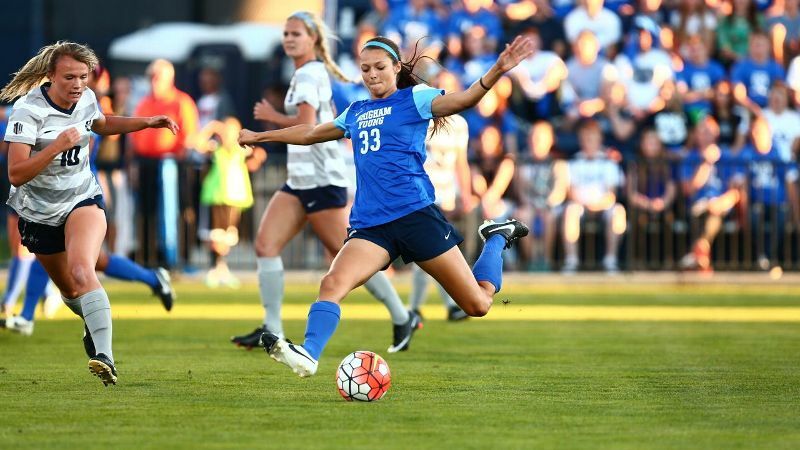 Far from a sophomore slump, Hatch used her second season in Provo to emerge as one of the nation's most prolific goal scorers. It was the junior season that tripped her up. A knee injury first interrupted and then essentially derailed her 2015 campaign; four goals and two assists in 13 games was a poor representation of her actual skill level. At her best, Hatch doesn't just pick on bad college defenders but scores the kind of goals that professional strikers score. She's healthy again, and her partnership with teammate Nadia Gomes should be fun to watch. 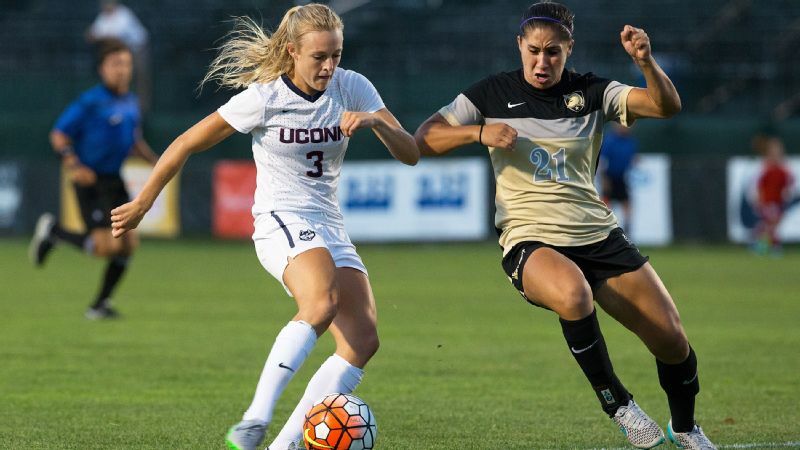 Once almost a regular, it has been some time since Connecticut reached the College Cup. It has also been quite some time since the Huskies had a goal scorer like Rachel Hill. Since UConn basketball star Breanna Stewart has moved on to the WNBA, the most prolific scorer in Storrs might be Hill, the senior from New Hampshire (and what a year it was for the Granite State to produce both Hill and USC's Morgan Andrews in the same recruiting class). With 45 goals in three seasons, Hill trails only Boston College's McKenzie Meehan and the next person on this list among active players. 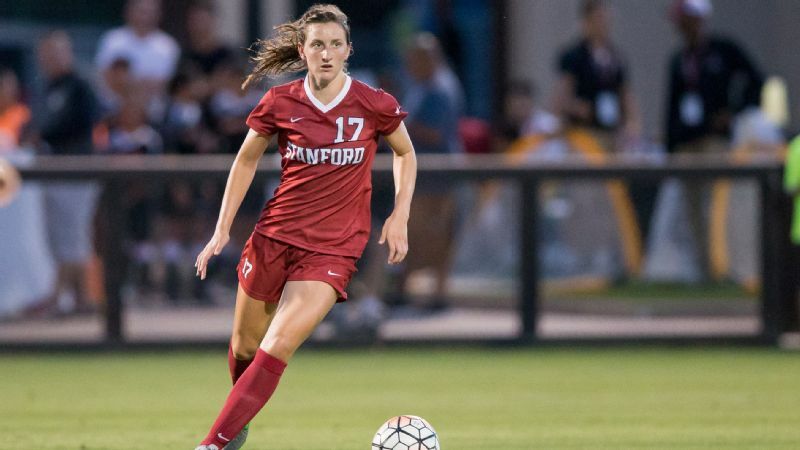 The Stanford midfielder has skills, poise and the kind of charisma that gets people on her side in a hurry. Hey, it worked out pretty well for Julie Foudy. 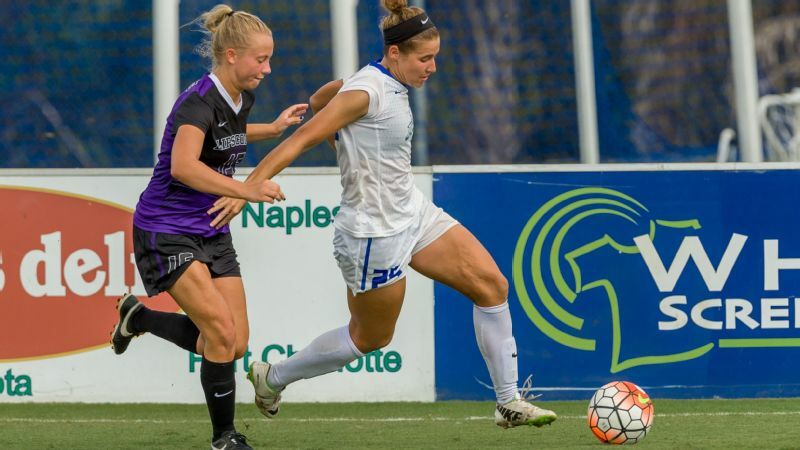 We'll see what the future holds for Sullivan when it comes to the U.S. national team -- the former U.S. U-20 captain has certainly done her apprentice work through the youth national system. But the college game is Sullivan's stage at the moment, and the junior can control games at that level as few other midfielders can. 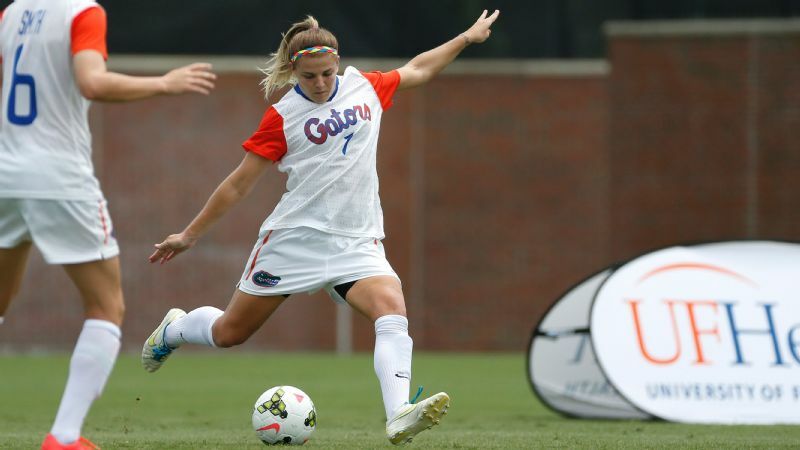 Keep an eye on how she partners with well-regarded freshman Tierna Davidson. There is a lot of college soccer blue blood on this list, but what is a college season without some teams outperforming their athletic department budgets? Tindell is arguably the best mid-major player in the country this season, but she's also arguably among the best players, period. The senior totaled 17 goals and 10 assists last season (she once posted 44 goals and 40 assists in a high school season) for a team that won an NCAA tournament game on the road and pushed eventual national finalist Duke deep into the second half in the second round. It's not that Wilkinson is unknown in this country. Soccer fans know all about the New Zealand native who has already played in two World Cups and two Olympics. But she leads a curiously low-profile college existence for a world-class player. It doesn't help that Tennessee, for reasons beyond its Kiwi, has struggled to turn the corner in the SEC during her time in Knoxville. It really doesn't help that she missed the 2015 season with a knee injury. But the 24-year-old Wilkinson is back for her fifth year after another summer of international duty. It's a last hurrah to watch. She is another of the Canadians whose arrival will be delayed by Olympic duty, in her case as an alternate (six Canadian Olympians will play college soccer this season). Clemson is more than happy to wait. There are very few college goalkeepers who are difference makers, but Sheridan makes the list. 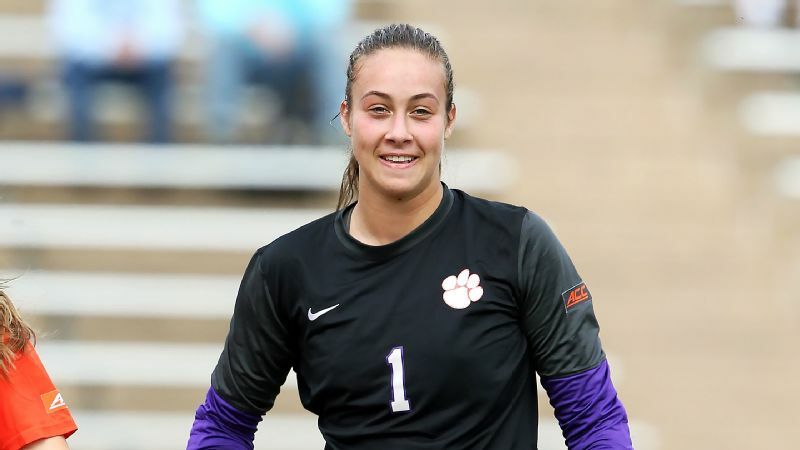 And as one of 11 returning starters for the Tigers, the senior is part of a team that has every chance to improve on a 2015 season that was great right up until a surprise second-round, penalty-shootout exit in the NCAA tournament.